Support for Ukraine’s pro-Western government is plummeting, with nearly 70% of Ukrainians believing the country is going in the wrong direction, one year after the change of regime in Kyiv. The plunge in confidence mirrors the economic collapse in the wake of the conflict in East Ukraine and rising tensions with Russia. 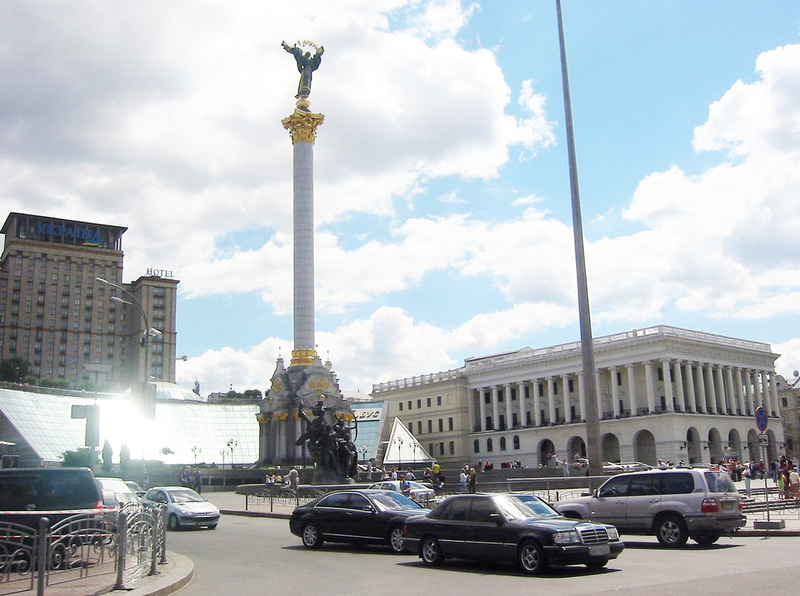 Two thirds (66.9%) of respondents in a poll by Kyiv’s Razumkov Center believe the country is heading in the wrong direction, with only 17.5% believing current developments are positive. Only 19.4% of Ukrainians would now vote for President Petro Poroshenko, less than half of the 55% that swept him to a landslide first round victory in elections on May 25, 2014. The elections followed the ousting of former president Viktor Yanukovych after the Maidan protests. Only 12.6% of respondents now say they fully support the tycoon-turned-president, while 39.9% take the opposite view. While percentages differered considerably, because of a different ranges of options, the overall turnaround in support for Poroshenko was confirmed by a second poll conducted by Research & Branding Group: 58% of respondents disapprove of his performance, and only 33% of respondents expressed approval. The precipitous drop in support is reminiscent of the fate of Poroshenko’s mentor, former president Viktor Yushchenko, who came to power in 2005 after a pro-Western revolution. His initial ratings were over 60% but he garnered only 5% of ballots when he ran for re-election in 2010. Neither poll covered Crimea, annexed by Russia in March 2014, or parts of the Luhansk and Donetsk regions currently held by Russian-backed separatists. Poroshenko’s key ally, Prime Minister Arseny Yatsenyuk, fares even worse in the polls, 13 months after becoming premier when Yanukovych fled in February 2014. According to the Razumkov Center poll, 56.7% of people do not support Yatsenyuk at all, with only 7.8% expressing full support. In the survey by Research & Branding, 68% disapproved of Yatsenyuk, and 24% gave their approval. Less than 5% of respondents fully supported the work of the government, despite it being formed by a coalition of parties that together took around 70% of the vote in parliamentary elections in October. “If the government loses the support of society now, its reforms will be ineffective,” said Razumkov Center director Vasil Yurchishin. The government is now facing local elections in October 2015, prior to which constitutional reform should devolve extensive powers to local government. One consolation for Poroshenko and Yatsenyuk is that their collapse in approval is not matched by a surge in support for the opposition. The opposition, which largely succeeded Yanukovych’s former governing Party of Regions, is weak and fragmented after losing key strongholds in Crimea, Luhansk and Donetsk, and through its association with deadly violence by Yanukovych’s administration against protestors in February 2014. The plummet in support for Poroshenko and Yatsenyuk is even more significant since they have benefited from largely benign media coverage. Poroshenko himself is the owner of a major TV network, while other top officials such as (recently fired) Dnipropetrovsk governor Ihor Kolomoisky and Andriy Sadoviy, head of the third largest party in the ruling coalition, also control key networks. Other major media owners such as gas oligarch Dmitro Firtash and metals oligarch Viktor Pinchuk also lent their support to the Poroshenko administration, since the ongoing conflict in East Ukraine has diminished their readiness to criticise the ‘wartime’ government, the media watchdog Telekritika said. This means the government’s collapse in ratings is probably a result of Ukraine’s disastrous economic situation rather than politics, say analysts. Ukraine’s GDP collapsed by 6.8% in 2014, according to official statistics, with the government anticipating a further 5.5% fall in 2015. Ukraine’s hryvnia has devalued by 66.5% since the start of 2014. The economic collapse has largely resulted from the fighting in the eastern industrial heartlands, as well as financial imbalances accumulated over years. Indicatively, only 12.7% of respondents are now ready to further “tighten their belts” for the good of reforms in the country, the Razumkov Center poll showed. Asked for their views on the economy, 30.7% of respondents fear Ukraine’s economy will utterly collapse, leading to mass closures of firms, unemployment, national default, and another dramatic devaluation of the hryvnia currency. A quarter see the crisis deepening in 2015, and only 29.4% expect the economy to stabilise by the end of the year. Gloom reflected in the polls is marginally relieved by Ukrainians’ EU membership aspirations, which provides some light at the end of the tunnel, according to another poll conducted by the Kyiv International Institute of Sociology (KIIS). Russian aggression towards Ukraine has apparently pushed more Ukrainians away from Moscow and towards the EU, with 47% of respondents wanting union membership, up from 41% in September 2013. But 27% of respondents now do not want to join either camp. The number of Ukrainians wanting to join the Russian-led Eurasian European Union has dropped to only 12%, down from 35% in September 2013, according to the KIIS poll. Its survey included the rebel-held Donbas area of East Ukraine, but not Crimea. “Positive signs of support for Ukraine from the international community are now crucial to propping up the government’s reform path,” says Volodoymr Fesenko of the Penta think tank. According to Fesenko, this could include financial support as well as a decision in favour of a visa-free regime between the EU and Ukraine.